Don’t waste your search budget on expensive, ineffective clicks. Our SEM campaigns are planned, implemented and monitored by on-staff experts that earned us our Google AdWords Premier SMB Partner certification, and the search industry’s leading search optimization platform. We will optimize your campaign dollars amongst the three major search engines, Google, Yahoo and Bing. 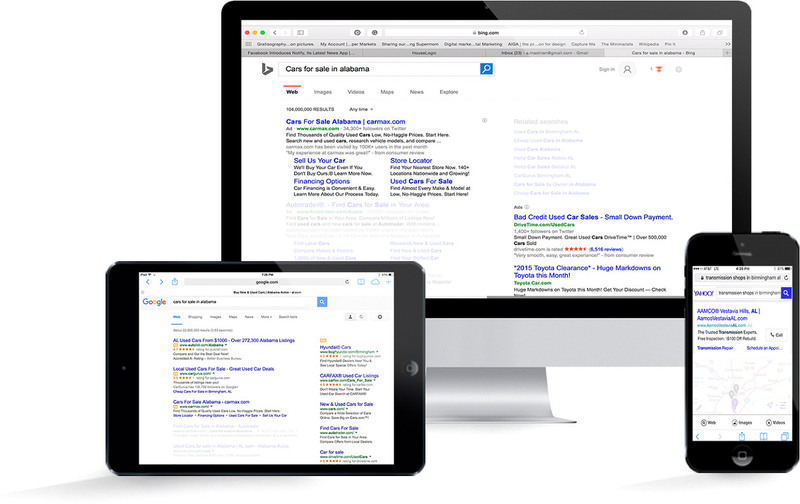 In addition to traditional pay-per-click search campaigns, we can help you enhance your SEM campaign with search re-targeting display campaigns. This means we can target searchers with a visual ad, keeping you top of mind while they do their pre-purchase research. Many marketers purchase and manage AdWords campaigns in-house. What they miss out on is the addition of advanced software overseen by search specialists who constantly optimize campaigns for better results, balanced budgets, and target audience intentions.